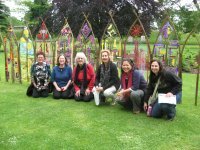 25 Years of Sacred Sites Journeys! 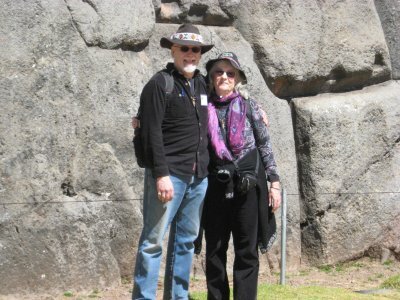 Andrea and Mark at Sacsayhuaman, Cusco PERU. to the world's sacred sites for the last 25 years. and Tour Director on our sacred journeys. and four other books about the esoteric history of our planet and the Goddess Tradition. He teaches online teleseminars in The Order. 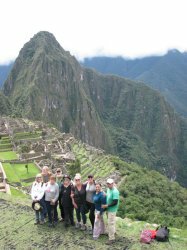 Andrea and Mark led our 2019 Sacred Sites Journey to PERU. 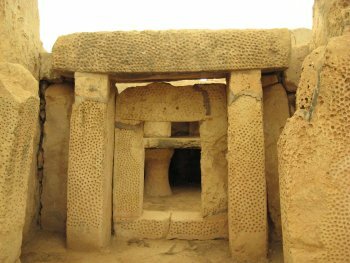 Andrea and Mark will lead our 2019 Sacred Sites Journey to MALTA. 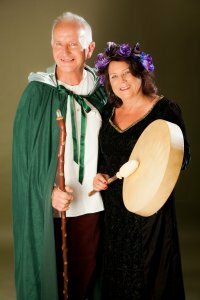 Michael and Lynne Orchard will lead our 2019 Sacred Sites Journey to ENGLAND. 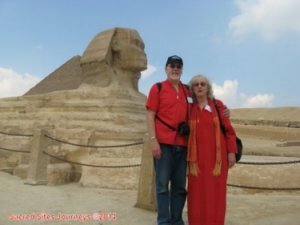 Andrea and Mark will lead our 2019 Sacred Sites Journey to EGYPT. For information about our upcoming 2019 Sacred Sites Journeys, see below. 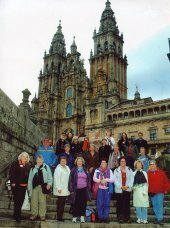 Visit Why Travel with Sacred Sites Journeys and When to Register Pages! Sacred Journey to Avalon...and Beyond! Registration is Closed! Our group is full! 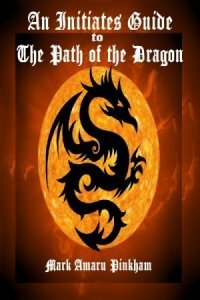 this Sacred Journey to Avalon...and more! We will not sell or share your information with any other company or individuals. You can easily un-subscribe at any time. in the future on one of our Sacred Sites Journeys. 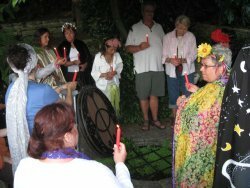 Our 2019 Sacred Journey to Avalon and Beyond! Silbury Hill, West Kennett Longbarrow and more! 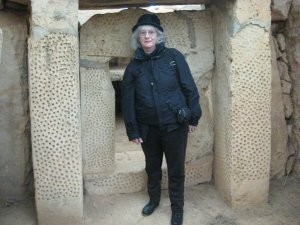 and connect with the rich legacy of the Celtic Goddess Tradition and its Avalonian Mysteries. 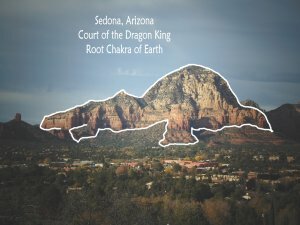 with this ancient land, the Ancestors & the Divine Feminine! PRIVATE ENTRANCE into STONEHENGE - Special Access Inside the circle! After 2019, we won't be offering another spiritual journey to MALTA for a while. 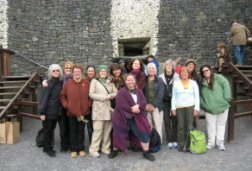 Our group is filling quickly for this very unique spiritual journey! to the hotel by April 25th in order to keep the rooms they're holding for our group. So please reserve your place NOW! 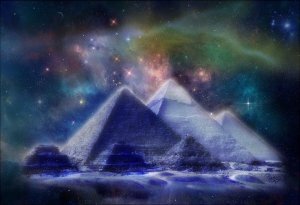 & Ancient Megalithic History and Director of The Order & Mystery School of the Seven Rays . 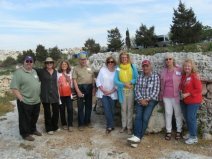 Mark Amaru was the Featured Speaker on our first Sacred Sites Journey to MALTA in 2013. With Andrea, he has been leading spiritual pilgrimages around the world since 1994.
attesting to his passion and unending research about this subject. 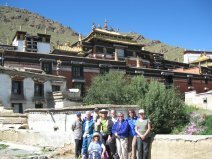 as well as informally as we visit the sacred sites and temples. 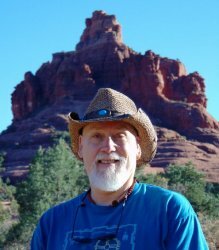 Mark is a longtime avid researcher, supporter and practitioner of the Goddess Path. The Order and Mystery School of the Seven Rays. one of the greatest remaining structures from prehistory on our planet today! 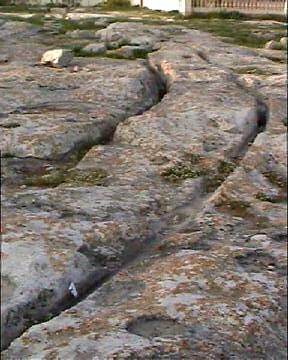 -- one of the most perplexing mysteries of ancient megalithic building technologies of all time! 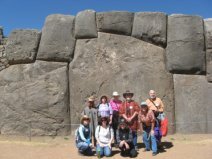 sacred travel groups annually to this very ancient land. 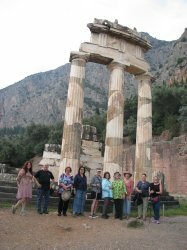 Since 2000 we've led over 30 groups to explore and experience the myriad of mysteries it offers. The response to this year's offering has been awesome! We only have 4 places left! After 2019, we won't be offering another spiritual journey to Egypt for another 2 or 3 years. So if you're being called to this very ancient and mystical land, NOW is the time to go! a 10-cabin wooden sailboat, chartered for our group only! 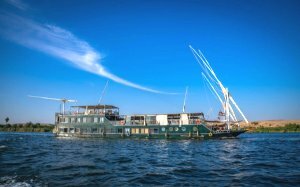 from Aswan to Luxor to visit ancient temples located along the Nile. the Mena House Hotel, located in the shadow of the Great Pyramid in Giza. 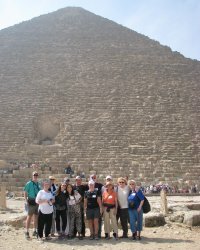 the ancient pyramids on the Giza Plateau, as well as at Dashour and Saqqara. PRIVATE ENTRANCE into the Great Pyramid for meditation and initiation. 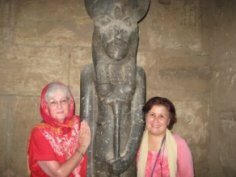 We've worked with Dr. Vivian Zaki, our dear friend and spiritual Sister, since 2005.
as well as very warm and friendly. 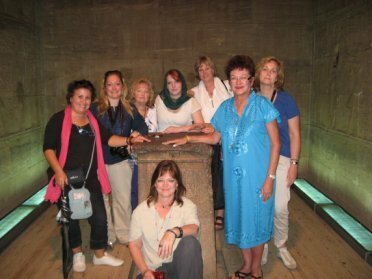 and she has over 25 years experience guiding groups in Egypt. She is very open to our spiritual focus. And, as she is well-known to the guards at the temples, she is easily able to secure our meditation time. 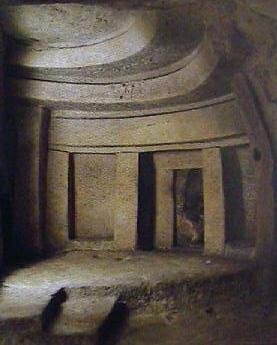 is a mystery tradition that has existed since the dawn of humanity. These ageless mysteries and their wisdom are resurfacing now. to a new level of expanded spiritual awareness. The revival of the rainbow symbol of the Seven Rays is also important now. to reunite into a one-world humanity in the near future. Mark Amaru Pinkham is the Founder/Director and Lead Teacher. Andrea Mikana-Pinkham is the Co-Director and Co-Faciliator. For detailed information about this retreat, including pricing and how to register, Click here! 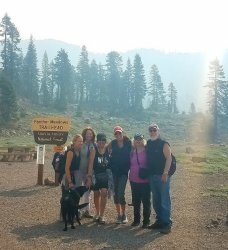 Sacred Sites Journeys are smoke-free sacred travel experiences. All forms of tobacco, as well as e-cigarettes are not allowed at any time. We invite you to visit and Like our Sacred SitesJourneys Page on Facebook. Click on the link above to find us. If you're not already a member, and are a Facebook member, you can join us. Or, if you're not on Facebook and would like to join, it's FREE, easy and fun! 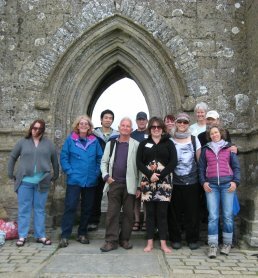 If you'd like to receive our Monthly Sacred Sites Journeys E-Newsletters, please Sign Up Here! Newsletters are sent out monthly. Occasionally you may also receive an e-news bulletin during the month about a specific journey or event. New Subscribers will receive a Travel Discount Coupon that you can use on one journey per year. 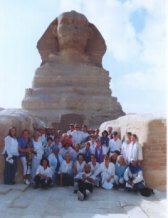 NOTE: All photos and text on this webpage are the Copyright of Sacred Sites Journeys. 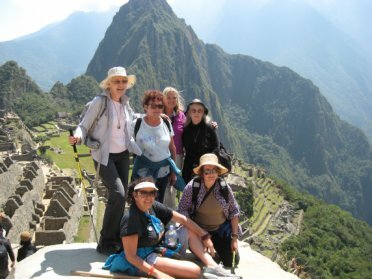 Sacred Sites Journeys is NOT affiliated with any other sacred travel company. are using our text, photos and some of our testimonials. We did not give them permission to do so. will swiftly reap the negative benefits of such actions. To contact our webmaster, click here.